Police say they spent two years trying to persuade two drug lords to surrender, and deadly force was a last resort. 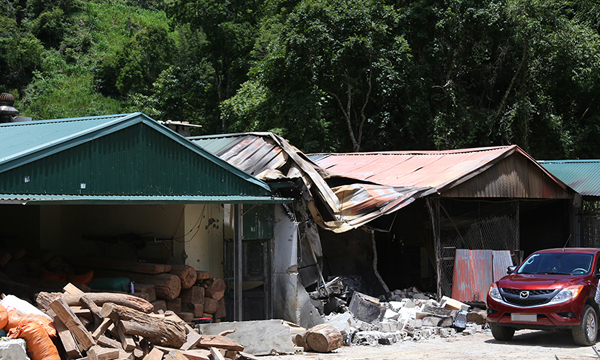 The massive raid that killed two drug lords in Long Luong Commune in the northern province of Son La last week was the result of a years-long mission in one the country's top heroin hotspots. 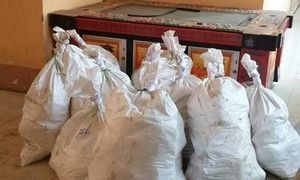 Police said at a press conference on Tuesday that some members of a drug trafficking ring fled during the raid, and the commune is not yet deemed safe. 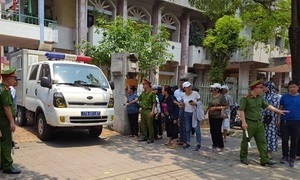 Nguyen Thanh Tuan, 34, and Nguyen Van Thuan, 35, two major drug lords with multiple arrest warrants against them, were shot dead during a four-day raid involving more than 300 police officers between June 26-29. The raid descended into a fierce gun battle during which the two wanted criminals were killed. 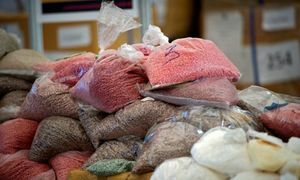 Police have not revealed the size of the drug cartel, but said its members had been running major operations trafficking drugs from Laos via Vietnam to a third country, and were key chains in a case involving more than 891 kilograms of heroin that was busted in 2012. Son La Police told the press that they opened the mission against Tuan and Thuan in July 2015. 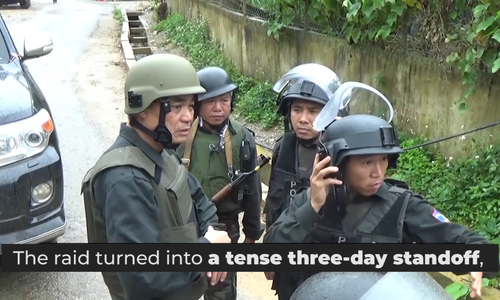 “We did not want to kill them, but we had spent two years persuading them to give themselves up, to no avail,” said the provincial police department’s deputy chief, Phung Tien Trien. He said the police had also brought parents of the two drug lords to Long Luong to talk to them, but that did not work either. Early in April, police officers started surrounding the commune, where the two had set up their stronghold. Two months later, they began to cut food and other supplies to the gangs. But the two drug lords had apparently prepared to fight. They survived on a large storage of food, gasoline and other necessities. Following the deadly raid, police found dozens of cooking gas cylinders, around 200 liters of gasoline, many brand-new guns and 31 sniper telescopes. They also found around $2,000 in a safe box, but believe much bigger sums have been transferred. 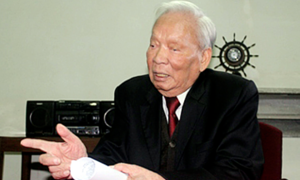 During the two months he was surrounded by the police, Tuan still managed to have his men send money to his wife and family. While they were aware of the money transfers, police did not have the right to interfere in the banks’ business, officers said. 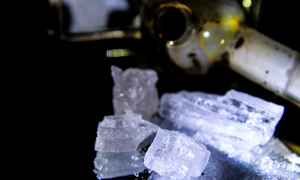 Son La has been a drug hotspot for many years, with around 1,000 violations busted and hundreds of kilograms of narcotics seized every year. 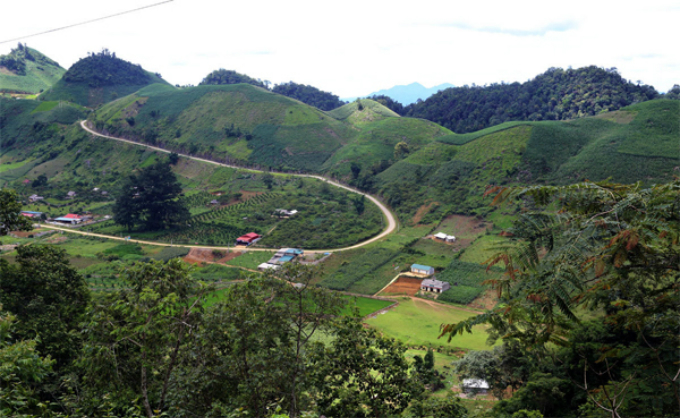 Long Luong, 15 kilometers (9 miles) from the Laos border, was a drug haven. Many of the 5,200 villagers, most of them belonging to the H’Mong ethnic group, have blood relatives in Laos. According to Son La Police, the 53-square-kilometer commune was an “especially complicated” location. It has 134 registered drug addicts, 31 wanted for drug crimes, 72 others in rehabilitation camps, and 65 ex-convicts. 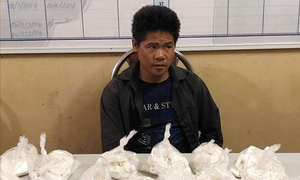 Bui Thanh Son, chief advisor to the Son La police department, said that over the past two months alone, they’d busted 19 smuggling attempts in the commune, seizing 29 kilograms of methamphetamine, more than one kilo of heroin and $400,000 in cash. The two drug lords are believed to have fled to Ta De Village in the commune five years ago, turned the remote valley into their headquarters and recruited and armed other fugitives to serve as their bodyguards. 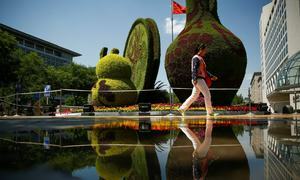 They managed to completely neutralize local authorities, police said. 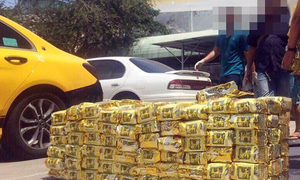 Police intelligence found the drug lords had fortified their houses with layers of fences, tunnels, surveillance cameras, and armed themselves with military weapons and many dogs. They recruited wanted criminals to work as their guards. Tuan’s house usually had 14 people on guard and Thuan had three. The heavy security made it very difficult for the police to take down Tuan and Thuan. The two parties exchanged intense gunfire and there were big explosions in which houses collapsed. Police said they also shot down two other gang members and arrested three others. They are investigating the detainees on charges of using and storing military weapons, and resisting officers on duty.